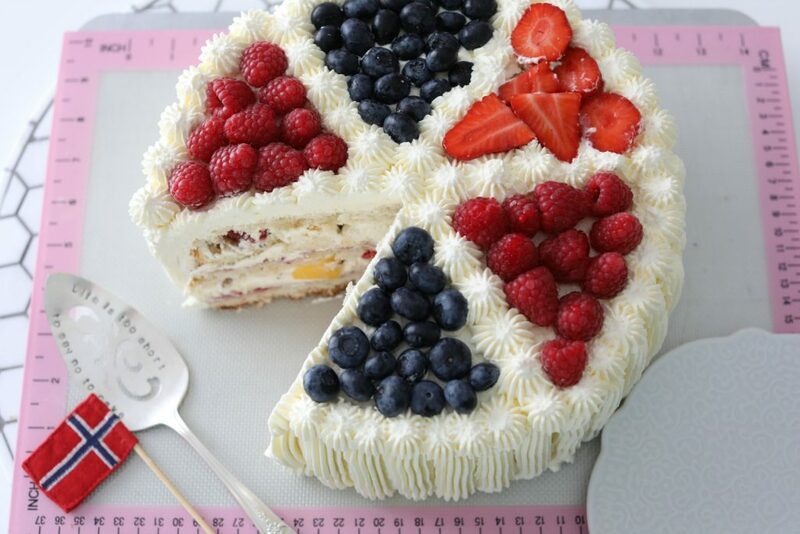 the weekend is here, so sharing with you all a recipe for one delicious cake. Bløtkake is one of my favorite Norwegian cakes from my childhood, and till this day, I´m still in love with this cake, the taste is amazing. What makes a bløtkake så special? 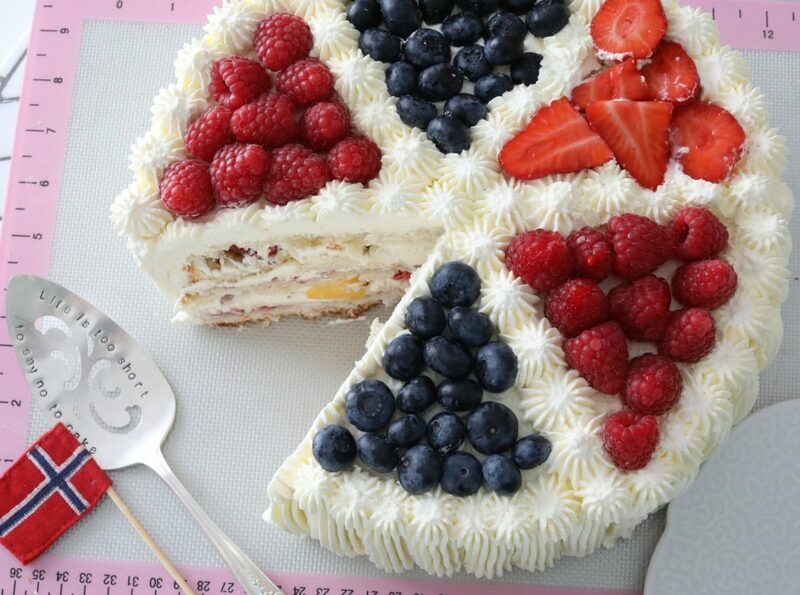 Norwegian cakes, in general, are just so tasty, we don’t fill our cakes with buttercream like most cakes in the USA. A typical bløtkake is made with a light sponge cake, that is made with just eggs, sugar, and flour, we cut the cake in 3 layers. 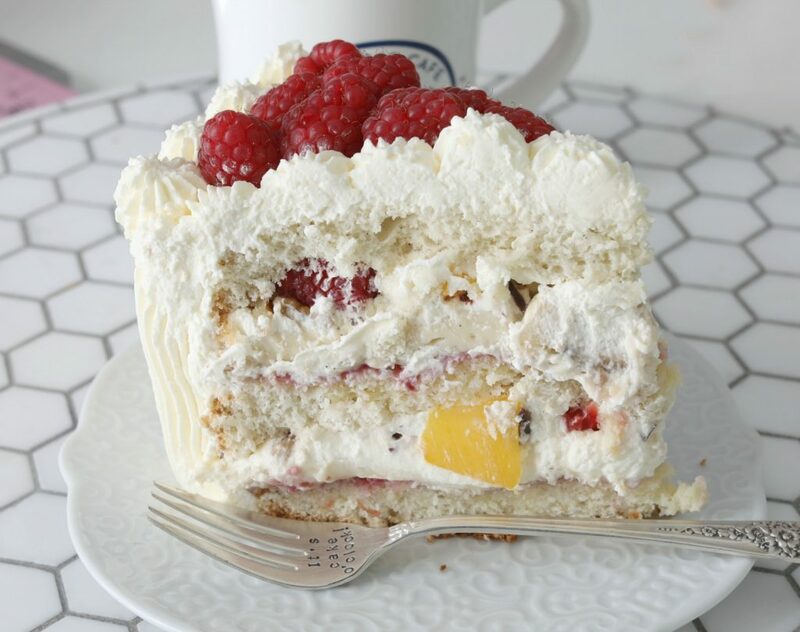 Each cake layer we drizzle with some orange juice ( some use milk) Then we add raspberry jam, homemade vanilla cream, whipped cream and we fill them with fresh fruit like strawberries, raspberries, banana, sometimes mango and blueberries. 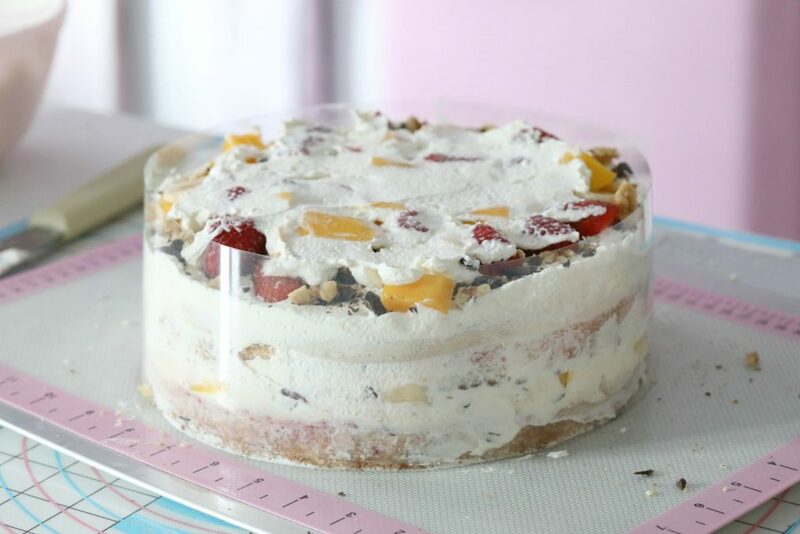 We add often add chopped walnuts and chopped dark chocolate, and cover the cake with just whipped cream, and often we decorate the top with more fruit. Norwegian cakes aren’t always pretty to look at, as they are decorated quite simple, But who care about the look of a cake, for me it is all about the taste, that is something you just have to taste to understand how good it is. Are you ready to make a Norwegian Bløtekake? Start by making the vanilla cream some hours before and put it in the fridge, get the recipe here. 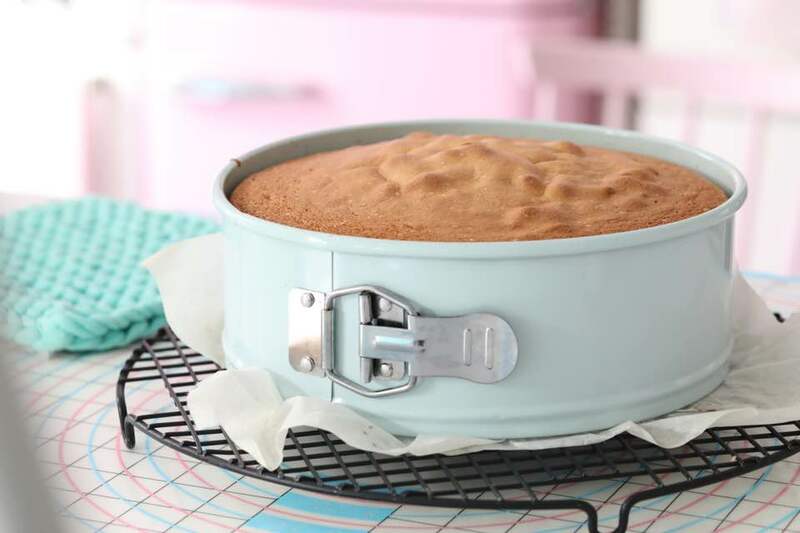 Make the sponge cake in a 24 cm 0r 25 cm ( 9-inch or 10-inch springform), get the recipe here. 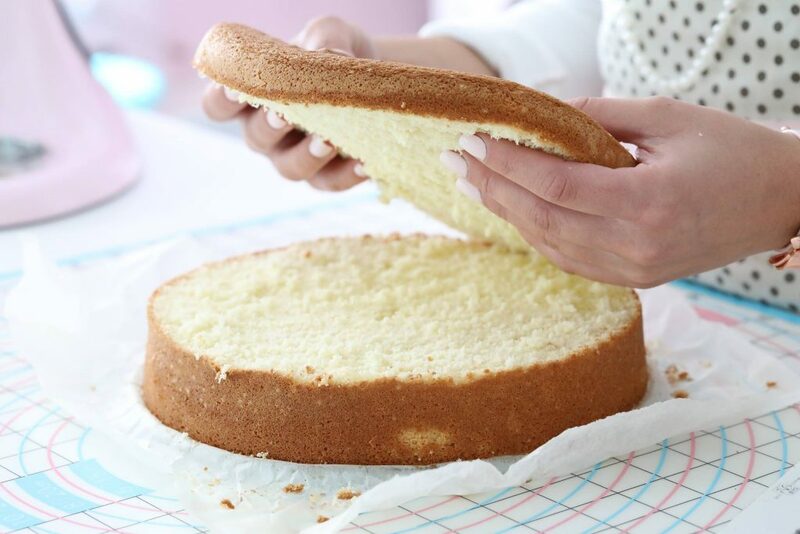 Cool the sponge cake completely down, and cut it into 3 equal layers. 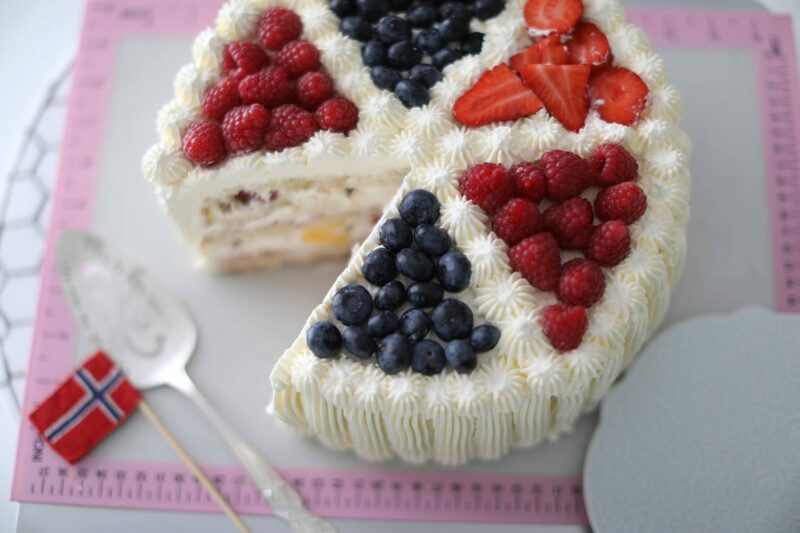 Place the first cake layer on a silicon mat or parchment paper and place it on a baking sheet that fits into a fridge! Drizzle the first cake layer with some orange juice, or milk. Add raspberry jam, use one with a good quality ( homemade = best) with an offset spatula just spread it all over the first cake layer. Add the vanilla cream, and spread it all out on the first layer. Add whipped cream, with an offset spatula spread it all over the cake layer. Add chopped dark chocolate and walnuts. 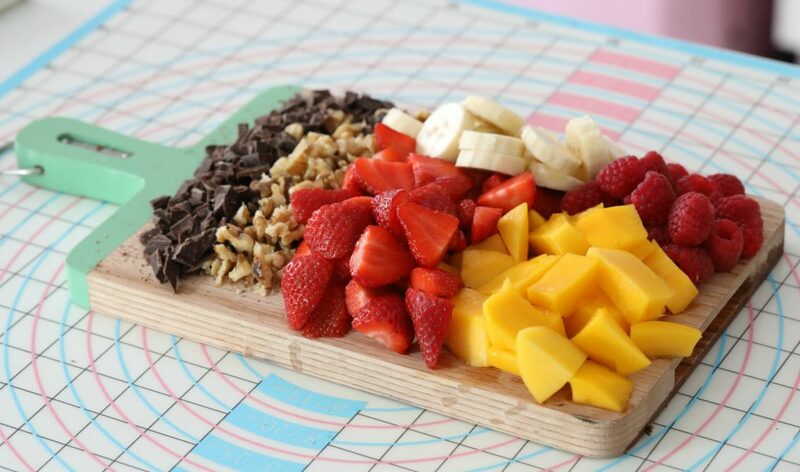 And add fruit of your choice, I used mango, banana, strawberries, raspberries. Add a little more cream on top, so the next cake layer stays in place. 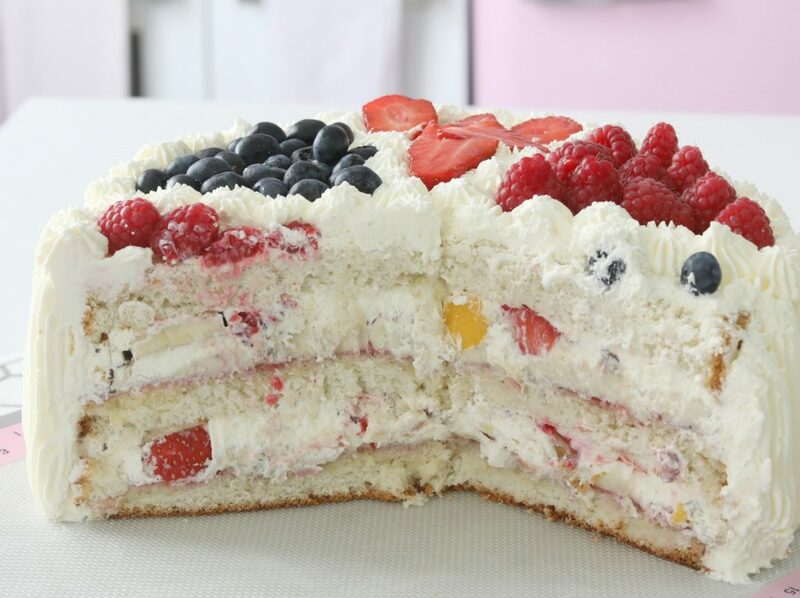 Place the second layer on top, If you have packed your cake with loads of yumminess, it might come out on the side. If that happens just take your offset spatula and lift the cake layer and push it in the cake. Repeat the same thing as the first cake layer. Put a cake collar ( that´s a plastic film for assembling cakes used inside the cake ring, and place a cake ring around the cake. Add the last layer, leave it in the fridge some hours to firm up. 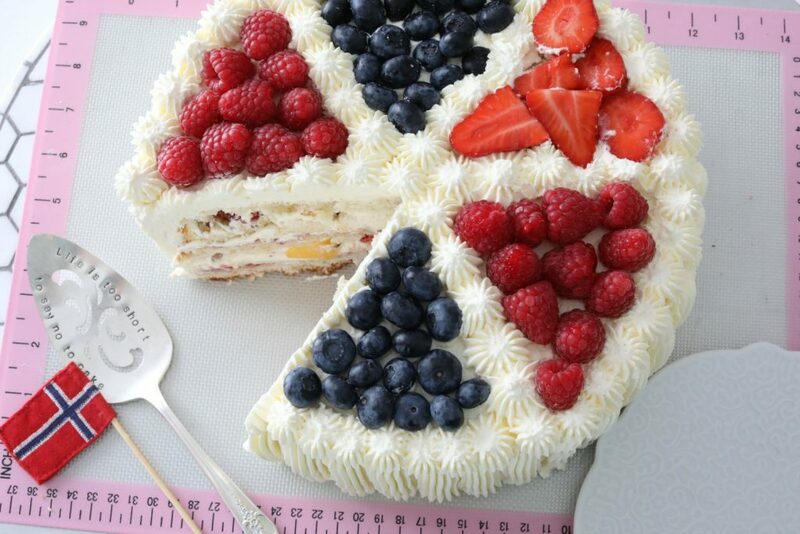 Decorate the cake with some more whipped cream and if you wish to decorate the top with some more fresh fruit! Hope you are going to love it, with love from Norway. 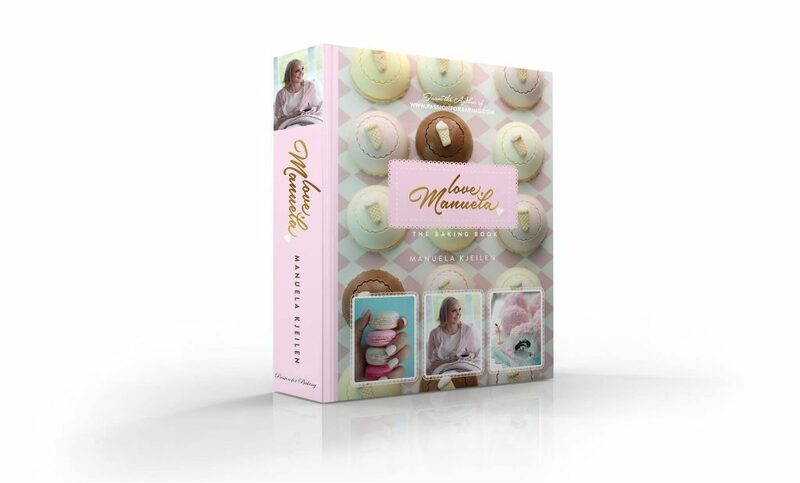 MY NEW BAKING BOOK, LOVE MANUELA 552 PAGES FULL OF YUMMINESS AND GORGEOUS PICTURES, WE SHIP WORLDWIDE! How many eggs and a few grams of flour? Manuela, I love your récipes! Thank you very much for the recipes! How long can I keep this cake in the fridge? If I keep it in the fridge for 24 hours before serve will it be ok? I live in Canada and my paternal grandmother’s side is of Norwegian descent. I was delighted to find your post and video and for my children’s cultural days at their school we decided to make individual Blotekakes. We made the sponge cake in to cupcakes, cut them up in to quarters and placed them in to fancy plastic clear shot glasses. They turned out amazing and delicious!!!!! I made some a little bit bigger for the instructors. I’d like to send you some pics please.